Thank you for your patience and kindness, which so many people have shown to us in the last few months. Two supporting churches raised the funds to fly our family home to visit America from December 18 through February 11. We relearned how to sleep through the night, basked in the safety of family and Christian friends, participated in the fellowship of an influenza epidemic, and sought counsel for our decision–whether to return to Africa or find a new ministry elsewhere (probably in America). I hope to soon share some of the counsel we received, as well as Scriptural thoughts that have touched my heart during this time. February 12th we arrived in Johannesburg, South Africa; on the 13th we drove the 5.5 hours to our home that we built in Elim village (in a 20-year old truck with an oil leak, loaded with luggage and two German shepherd puppies); and on the 14th, we began a move to another rental house in a nearby town. We hadn’t packed one thing for the move, nor was it private as one to five people watched us for most of the move. Two weeks later we are “settled” in a still disorganized fashion in a smaller, not-as-designed-for-us, less beautiful house–that God has graciously given to us for a wonderful price. We are thankful. Continue ministry in Elim, living in our house in Elim, with upgraded security. Continue ministry in Elim, living in a nearby town (under half an hour away from Elim) with upgraded security. Go back to America and join or begin a new ministry there. Switch fields within Africa, which would allow us to minister in a potentially safer place with a not-too-drastic change in the language group. Switch mission fields completely to another country, probably one where we could use English. We did not seriously consider number 5, as it was too big to think about, and seemingly couldn’t be settled unless the other options were already canceled out. We did lightly consider other fields within sub-Saharan Africa. We thought we could maybe go to a lesser reached area, and still use our knowledge of the Bantu language group (the family of Tsonga and Venda, the languages we’ve already invested in here in S. Africa). 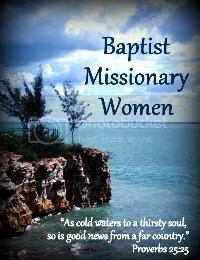 But when we would discuss a place, inevitably we would hear from other missionaries in that country or area who had been through armed robbery or something almost as scary. So I wasn’t interested in going to a less safe position at that (this!) point. While we thought more seriously about going back to America permanently, my husband is gifted with the desires to evangelize the least reached. He is a missionary, and we still thought we could work out a way for him to continue in that calling without hurting our children or my personal sanity. Seth had to answer how to balance two Scriptural principles: to provide for one’s own household (1 Tim.) and to endure all things for the elect’s sake that they might be saved (2 Tim.) He wrote a thoughtful answer to that difficult question here. At first, we were leaning towards staying in our house in Elim. Eventually we decided to move to a nearby town. Part of that decision is related to the interesting demographics of S. Africa. Part of that decision happened because of our particular demographics directly around our house in Elim. First, the latter: our house. In 2014, threats to our security intensified greatly. Until that time, we were only troubled when we were away for furlough. However, our neighbor directly to our north not eight meters from our house has been growing up since the first time he stole from us eight years ago. This year he turned 18, and he broke in several times this year, including during the night while we were there sleeping (twice), and stole valuables and not-so-valuables (don’t ask why he took my rose-printed valance?) The police can’t (or more likely) won’t keep him locked up. He’s the reason we installed burglar bars on all windows, alarms on the doors, a lock on the gate, and…almost bought a dog. He is always watching. Put that way, we were surrounded on all sides (okay, the east side is a graveyard!) by criminals who had a criminal record or had directly stolen from us. The next layer of neighbors after them included a person who was also damaging to my psyche after a personal attack made on us at the end of our first term here. So I felt that we were layered in enemies “devising wicked imaginations on their beds” towards us. Oh, and the police are no help. Many are corrupt. I am hoping that by moving into town we will be less noticeable as a target, and that we at the least may be removed from our immediate neighbors who make it their daytime and nighttime job to figure out how to get past our security and think of us as a never-ending well of resources from which to dip; whereas, our job does not allow for constant thought on who might be watching us and wherein our security is weak. I hope that gives you a small picture of our decision. It was an incredibly difficult, emotional decision. It was difficult to move. We had made our house in Elim beautiful. Just this year, we remodeled our garage into a pretty new homeschool room (that I never got to use!) and had a well drilled for consistent water. Our garden is gorgeous, thanks to years of effort by Seth. As we carted our stuff out of the house in the seeming safety of a warm African summer’s day, we found ourselves asking, “Why are we moving?” But we think we are doing what God wants. Please friends, do not cease to remember us in our prayers. And we thank God every time we remember you. 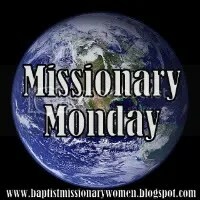 This entry was posted in Weekly Report and tagged African culture, prayer letter, weekly report. Bookmark the permalink. Am continually praying for all of you. What difficult decisions you have made and will continue to make. May God’s will be done for your good and His glory. Thank you so much, Mrs. Bedford! We are praying for you folks a very regular basis as a family as well as a congregation. Our congregation loves you dearly in the Lord and for the Lord’s sake. Always praying for you!! Love you! Amy, thank you so much for the update. I have continued praying for your family and had heard that you were returning to South Africa. May God continue to grant peace, wisdom, safety, provision, and abundant results for your faithfulness in serving Him. Thank you so much for sharing your story with us. I’ve been praying for your family. God is good! Wow. Tough decision to make, Meyers. Thanks for the update. Trusting our gracious, sovereign Lord to walk with you throught these trials and discouragement. Your in our thoughts and prayers. Glad to hear you are back on the continent. Continuing to pray for you, Amy! Will be praying about your visa situation too. We have been praying for you and are glad to hear the update. We will continue to pray… Your experience has made us think through our future living arrangements in Zambia and have prompted us to more prayer for wisdom. Thank you for sharing your thoughts and decisions even though you are under no obligation to do so. Even though we have never met, I heard about what happened to you and your family and then found your blog. Our church, Believers Baptist in Griffin GA, has been praying for you each week. We will continue to pray that the Lord will bless your ministry in South Africa, and that He will keep you safe from harm. Thank you for sharing with all of us an update on your situation. We’ve been praying for you all. Thank you for the updates. Amy I have been wondering about you lately and where you all were at now. I am glad to hear of your steadfastness of faith and return to Elim. May God strengthen each of you for the ministry He has planned for you. I can’t help but think that your returning will give you even more opportunity to share the love of Christ.